I have many memories of San Francisco’s fog, both comforting and dismaying (especially on summer evenings, when the thick blanket of moisture swiftly erased all warmth of a fine summer day). 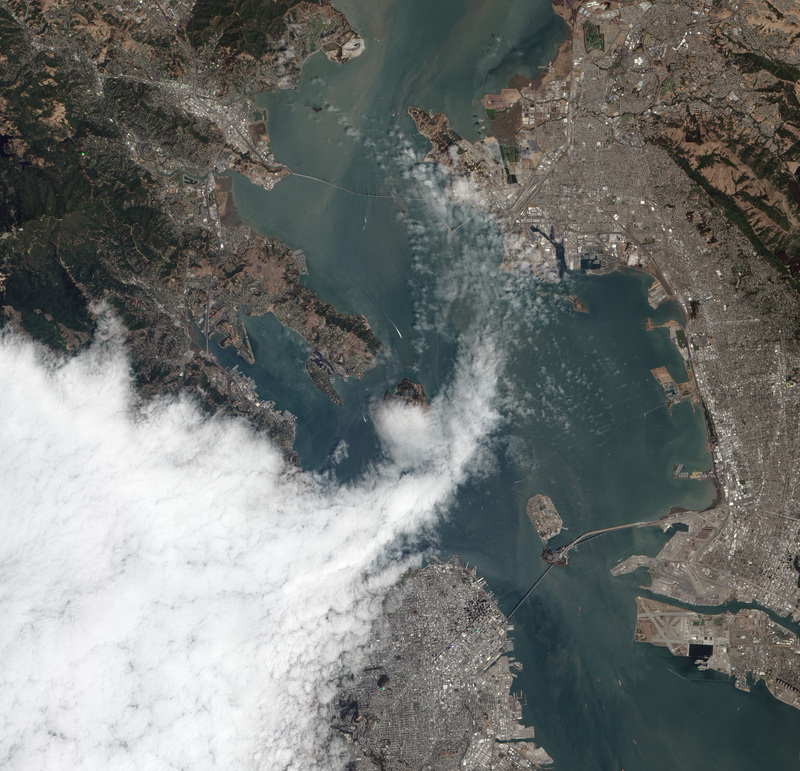 This image, taken by NASA’s Advanced Land Imager on the EO-1 satellite, captured a relatively clear day, by San Francisco standards. Another curiosity: The fingers of fog stretching across the bay are reaching north for Richmond instead of due east for Berkeley, a more usual target in my experience.